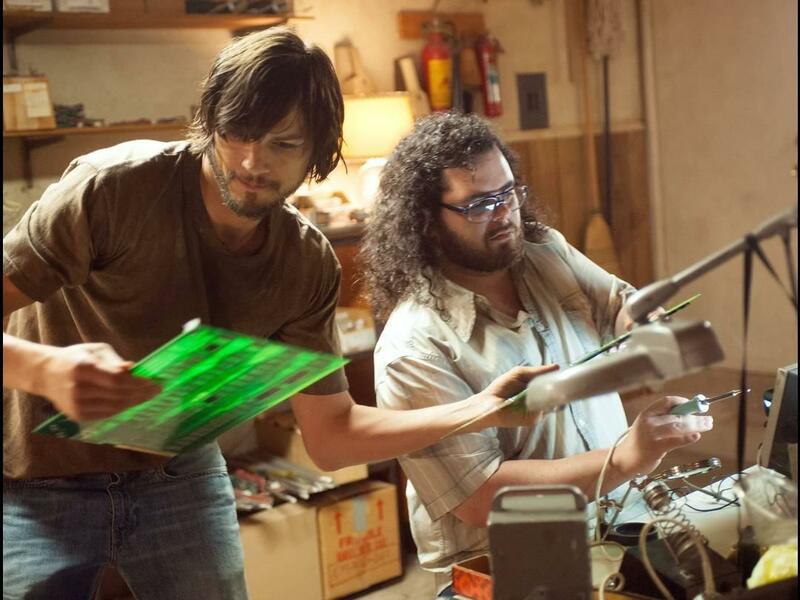 Is the passion that Steve Jobs had for the Apple Company evident in the new movie? “Jobs” directed by Joshua Stern, illustrates the life of Apple founder Steve Jobs. The movie follows his life from his early years, to the time he drops out of college in 1974 and through the release of the first iPod in 2001. During the 27-year time frame, we watch as Jobs establishes the company called Apple and creates some of his most innovative and inspirational projects. We see him in the film, as he deals with the realities of being a very successful entrepreneur and the corporate struggles that ensue, the rejection from the company and the fallout, and finally, his eventual reunion with the company. Ashton Kutcher convincingly plays the famous computer electronic maverick. He manages to accurately embody Jobs’ hand gestures, mannerisms, speech, and walk. 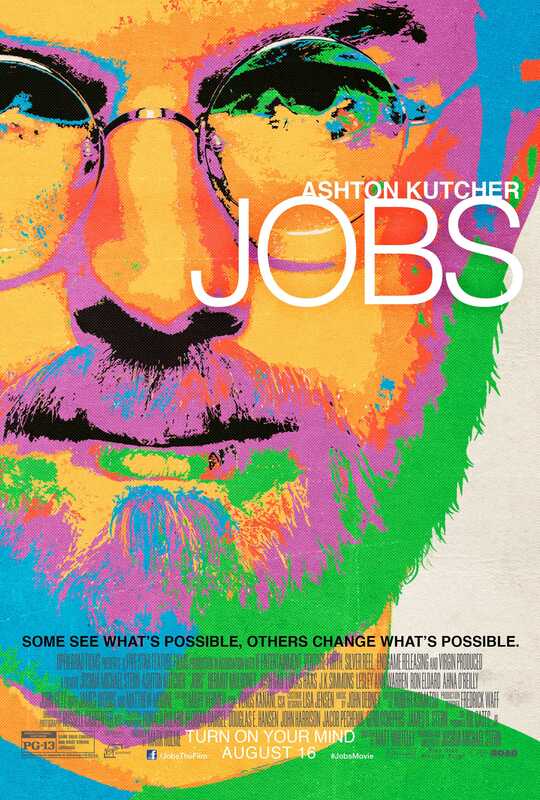 Kutcher’s rendition of Jobs is strong and clear. On the other hand, because of the disjointed way the director has decided to present the story, the course of the film is perplexing. For example, in the beginning of the film, we see a young bare-footed Jobs walking around the campus of Reed College even though he is not enrolled (he had once been an official student there, but had to drop out because of the high cost of tuition). While at Reed College, we see him being offered drugs, taking them, and then experiencing flashbacks. Next thing we know, we see him —suddenly and without explanation—in and around India. Then, without much warning, we see Jobs back on the Reed College campus—at least it appears to be the same college. Kutcher does a illustrious job sharing the passion Steve Jobs had for his work. Even though Jobs’ character is portrayed as having somewhat of a mean-streak at the first half of the film, in fact, it is soon revealed that what is perceived as meanness, is simply an example of his impatience and annoyance with anyone who interfered with his obsessive and passionate nature concerning his creative vision. Designing and producing products consumed Jobs’ entire life. The only moment we really see him relaxing, is when he is at home with his wife and their three children, along with additional information about the daughter that he had ‘out of wedlock’ but that he eventually, after she was two-years-old, acknowledged as his child. Unfortunately the personal side of his life is never really fully developed in the film and viewers just get a broad glimpse into this part of his life. The movie ends positively, with the famous “Think Different” quote, but the overall viewing experience is confusing and many questions are left unanswered during the film. Nevertheless, anyone who enjoys using an Apple product, learning about the making of a great American company like Apple, Inc., or understanding better the man responsible for its amazing success, will definitely enjoy seeing this movie. “Jobs” sheds light on many aspects of Steve Jobs’ life that make for an interesting storyline. The film is fascinating to watch, and despite some brief moments of disorientation, is definitely worth seeing.